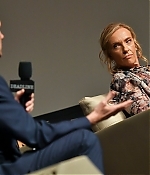 Yesterday, Toni Collette and Ari Aster have gathered for what looks like A24’s Oscar campaign for “Hereditary”, as the actress and director have attended a Q&A for the film hosted by Deadline Contenders. “I think every actor longs for a chance to ‘go for it’ and when I read this script it was undeniable,” Collette said. “It was such an opportunity for me to kind of traverse so many different areas…it’s the story of an awakening in this woman. People usually have an awakening or an epiphany about their lives and it means they have some understanding and it gives them a little more control in their lives. 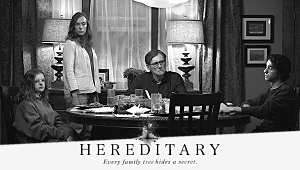 I think the true horror of this story is that once she does realize what the truth of her life has been there’s no hope, no way out.” Hereditary premiered at the Sundance Film Festival and earned strong reviews, especially for Collette’s work. 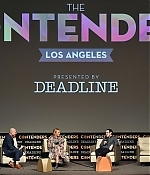 Writer-director Ari Aster said the horror genre helped the film. 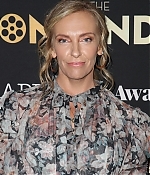 “One thing that I love about genre storytelling,” Aster said, “is that you can take thematic material that might be difficult for people to digest…and you can filter it through this other thing that takes what might be a deterrent to people seeing the movie and suddenly render it a virtue.” You can read more over at Deadline. 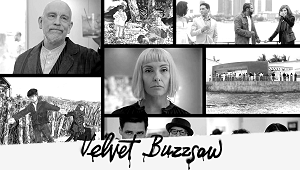 Many many thanks to Mouza for the heads-up!